Starting back in late 2017, I began a project with my friends to start a fan series based on the Star Wars prequels. I teamed up with my friends, who happen to have some voice acting talent, and we got all the voices we needed. Except I wasn't satisfied with the voice of Jar Jar Binks. In this series' adaptation of the prequels, Jar Jar Binks is gay. There's no way around it. The creature is just flat out gay. And in our first cuts of his lines, Jar Jar's voice just couldn't quite portray that. That's why I'm coming here. 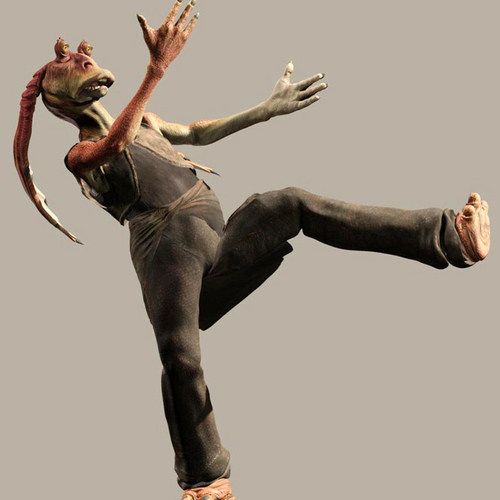 I need a voice actor talented enough to portray Jar Jar's lines accurately enough, and with enough of a gay inflection. Thank you. 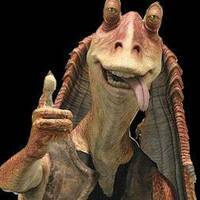 I need a good Jar Jar voice mixed with some type of gay inflection. Feel free to include multiple takes of some lines, and maybe some scared Jar Jar screams or various other Jar Jar sounds. Also, feel free to ad-lib some things a Gay Jar Jar might say. "Meesa called Jar Jar Binks, meesa your humble servant!" *slyly* "Take that information as you will..."
"Ex-squeeze me, but the mostest safest place would be Gunga City. Thas' where I grew up. 'Tis a hidden city. Plus, there could a few cute locals!"